AnimeVoiceKiddo is most known for her YouTube song covers and abridged voice acting. 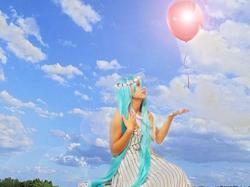 She reached over 1000 likes on her fanpage in less than a year and is excited to meet everyone at Cosplacon 2014. Kiddo has performed concerts at Kawa Kon 2012, Kawa Kon 2013, Kawa Kon 2014 and Ramencon 2011, and has returned for more.